Foods on the Spot is an extension of website, www.livelifefullest.com that passionately focus on food – a hub, an escapade. a find or simply a craving. 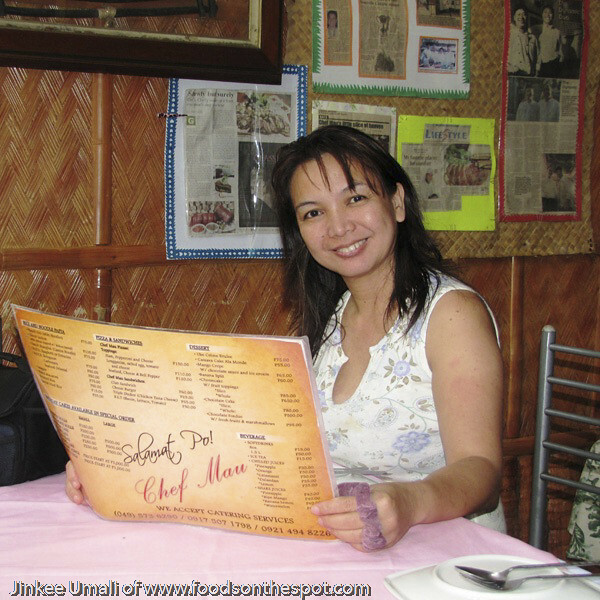 I am Jinkee Umali – practitioner/consultant by profession that concentrates on the field of information technology (I.T) – from project management, doing training, ERP consultancy, E-commerce development, website and graphics concept/design and a part-time professor in a graduate school. Aside from maintaining three blogs, my hobbies are cooking, baking, gardening, love to scout new food, traveling and digital photography. I was very itchy to separate it in my posts to Live Life Fullest long time ago. I felt that highlights on food will really give the best and right timing to finally made a decision. 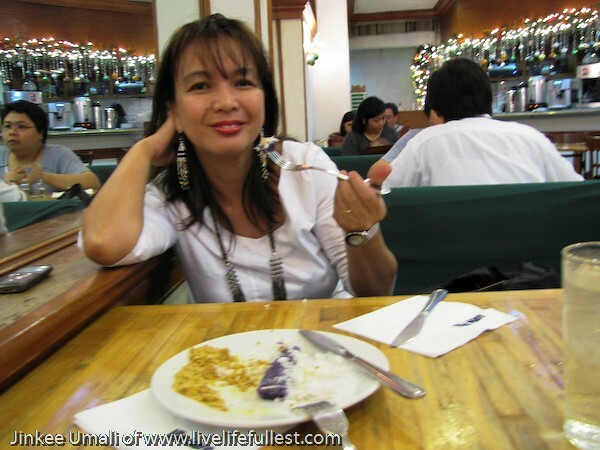 My passion to food started way, way back when my mother expose me to cooking as part of household chores. I can definitely say I have harness those love of cooking as I decided to took up Nutrition or anything that was related to food. But then, Mama took the liberty of choosing my course. I was too reactive. Just to reserve her gusto, I finished my course with a degree of Bachelor of Science in Computer Science as my thoughts were expressed in this post – Gratitude to my Mother. My passion to food did not stop. I make it a hobby. Still experimenting different dishes, cakes and desserts by self-learning like research and lot of reading thru cook books/magazines, cut those food clippings and compiled them. Most of the TV shows I watched are related to cooking also. My husband saw that I got those potential in cooking and preparation to food . He even finance and encourage me to enroll in different food school in the metro during weekends. He allotted funds to buy me additional kitchen utensils I also need in baking. Maya Kitchen gave me those proper hands-on about Basic Culinary and Baking. When I started to bought my kitchen ingredients, I was inspired to enroll at Chocolate Lovers to expand more knowledge in baking – brownies, breads and cakes. 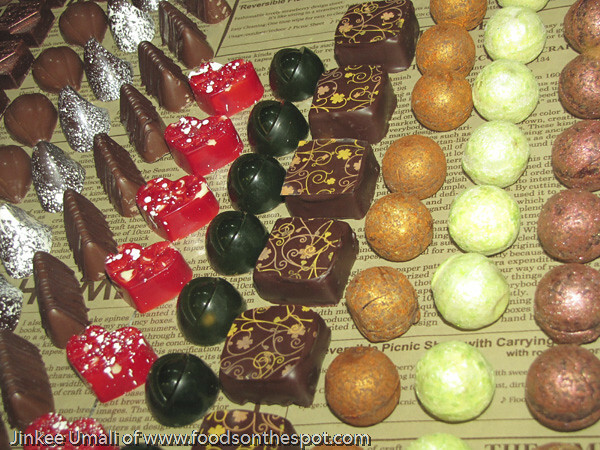 I also enjoyed chocolate molding course doing lollipops, bonbons, truffles and chocolate houses. I even use those desserts as a home made gifts to friends, relatives and clients which made them their longing request when we have those meet-ups. Everyday, I am also surrounded by food! 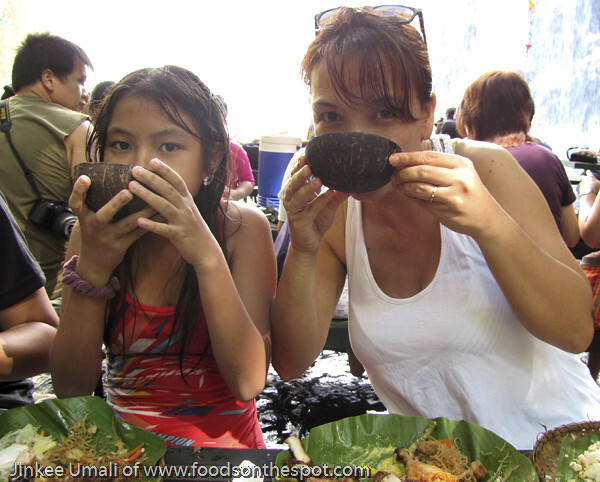 Our family spent bonding thru food whether it is breakfast, lunch or dinner at home. Even celebrations that entails a food gathering are a much occasion to nurture. My freelance work always meet inside a restaurant or any coffee shops sharing some brainstorm business ideas with food, dessert of coffee. 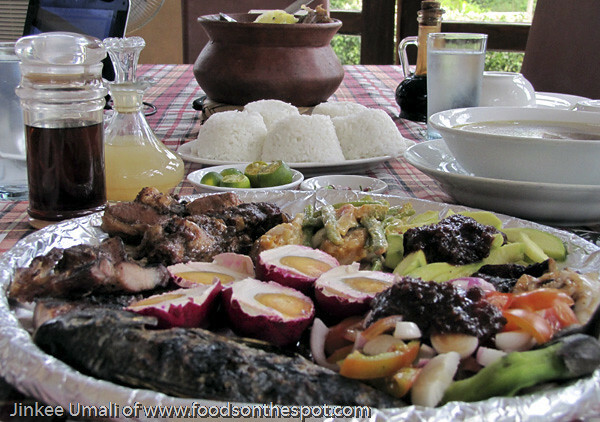 Friends around do some get together where food is also one part of those sharing to make the talks a memorable moments. Foods on the Spot is definitely a sharing of random thoughts about – home recipes, cooking tips, restaurant hopping and reviews, food finds along the way and anything about a food that is worth a try. It is a collection and a journal in one to made my food spots an enjoyable way of creating those compilation a treasure to look for.